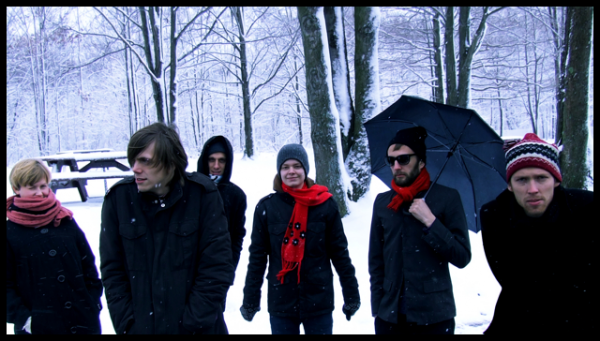 >Today’s New band – Fredrik PLUS! Daniel O’Donnell! >Sometimes it’s just… difficult to buy albums. Often it’s because there are no decent records being released. December is when the annual CD drought kicks in, due to the proliferation of dreadful CDs aimed at the Christmas market. Yet another oxymoronic Katie Melua ‘Best Of’, anyone? Or Daniel O’Donnell‘s Christmas Album? Yes, I’d prefer to drink Gluwein flavoured with bleach too. Most times though, it’s just the feeling of not knowing where to start. All those CDs, and so little desire to spend fifteen precious minutes being lectured to by the bearded guy behind the counter about the latest release from their favourite unknown Jazz-Funk combo. My favoured fallback option is to plump for a compilation album – the best friend of the unsure or skint. For the same price as a standard album, you get a whole bundle of songs picked by someone else. It’s a bit like borrowing a friend’s iPod and setting it to shuffle. The great thing with compilation albums is that they work as intended for everyone involved – the listener gets a taste of a load of new bands; the artists, often without the money, or variety of songs to warrant their own album, get published; and the record execs get to cream off another 10% to spend on coke, champagne and hookers. With this all in mind, I can wholeheartedly recommend any of the brilliant compilation CDs from Rough Trade, or the equally ace Studio One series. Today’s New Band, Fredrik, are probably on a compilation album somewhere. For good reason, too – they’re the second delicious folky band we’ve had in as many days. They hail from Sweden, and somewhat predictably have the Swedish knack for squeezing a great tune into a four minute pop song. fabulously, they manage to make these songs sonically inventive whilst maintaining pop sensibilities. Alina’s Place is a clicky, puffing and outrageously enjoyable pop-folk song enlivened by what sounds like the tinkling of jars full of water and gentle vocal chanting. It’s so comforting and cosy that if you listened to it whilst sitting in a bean bag and sipping on a mug of cocoa, you might slip into a coma of joy. Holm shuffles like an old man dancing to his favourite song and Angora Sleepwalking lumbers around, confused but happy, before bursting apart in an muddle of plucking and fiddling. Fredrik are a folky, accessible cross between Sigur Ros and The Kings of Convenience, and much more fun than either. Their songs fuss along, scattering ever-inventive and enjoyably tactile noises on their way. They are poppy one moment and introspective the next, but their gentle, low-key and unassuming music is always sprightly and determinedly exciting. 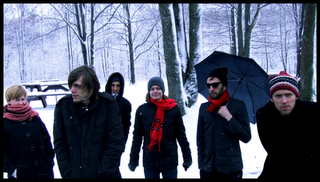 If you’re somewhere cold, like me, Fredrik are the warmth that you need in your life. Lovely. Listen to them here! Posted on December 4, 2008 by Joe Sparrow. This entry was posted in "Brilliant" Bands, Today's New Band and tagged creative overload, Sweden. Bookmark the permalink. ← >Today’s New Band – Run Toto Run PLUS! ‘The New Oasis’ – again!